Protect your baby from mosquitoes throughout the day, by using extremely safe Good Knight Patches. 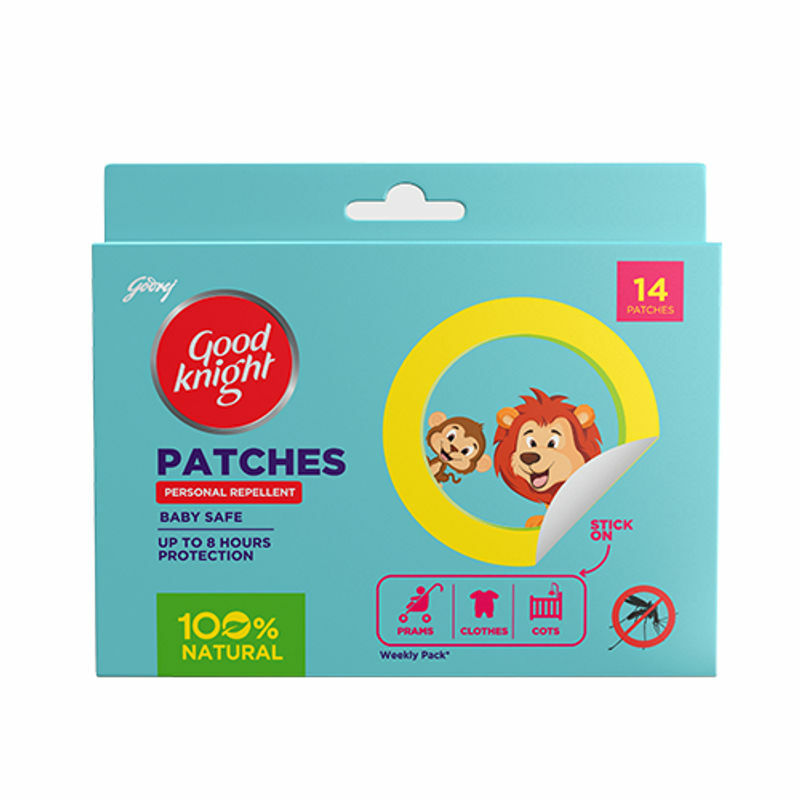 These innovative and completely natural repellent patches are loaded with pure natural oils, contain no toxic material and provides up to 8 hours of protection against mosquitoes to ensure your baby is protected all day long. Protects babies from mosquito bites. It provides up to 8 hours of protection from mosquitoes both outdoor and indoor. It is baby safe and certified by pediatrician. It is completely natural and contains no toxic material. Superior adhesive ensures no irritation or stains on removal. This pack contains 14 colorful patches in fun designs. Additional Information: Good Knight, a household name in India, is well known for its innovative household category products such as mosquito repellents, insecticides, personal and out of home protection products from mosquitoes, bugs and insects. From being pioneers in launching safe, natural ingredients smoke-free electric mosquito repellents, they have introduced 12-hr jumbo coils, coil mats and many more technologically superior non-electric, non-skin application products to give complete protection to families without any worries. Explore the entire range of Insect Repellents available on Nykaa. Shop more Good knight products here.You can browse through the complete world of Good knight Insect Repellents .